We have fallen into a routine over the past seven months: fast and furious site-seeing, exploration and activity for a week or two, followed by a week or so of rest. During our fast-and-furious phase, we are satisfied staying in a modest hotel or inn, with just a hot water kettle and a bed. When we "nest" for a period of time, we look for a place with a well-equipped kitchen, high-speed wifi, a washing machine, and separate areas for living and sleeping. We have been fortunate in China to have stayed in some exceptionally nice private residence accommodations (ala AirBnb, CTrip, etc. ), allowing us to grocery shop, cook our own meals, consistently wear fresh-smelling clothes, and enjoy other mundane-and-missed tasks signifying normalcy. 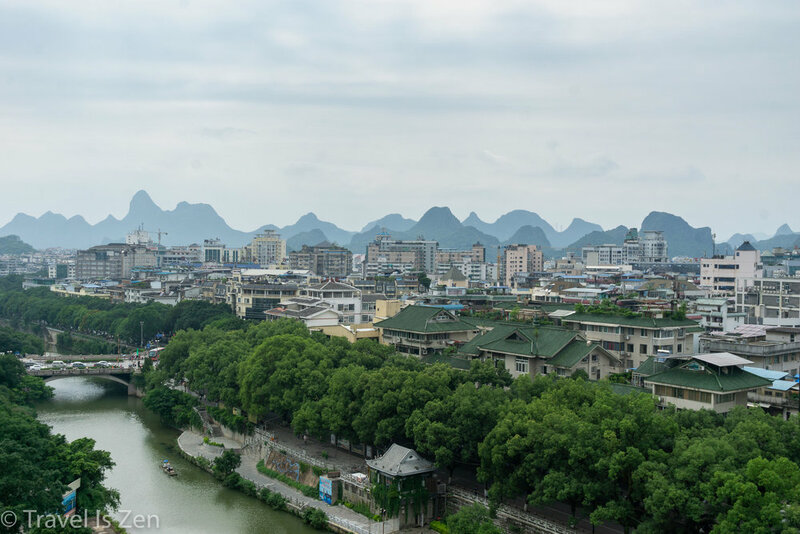 Guilin was our home base in Guangxi Province, which sits above Vietnam and Laos. 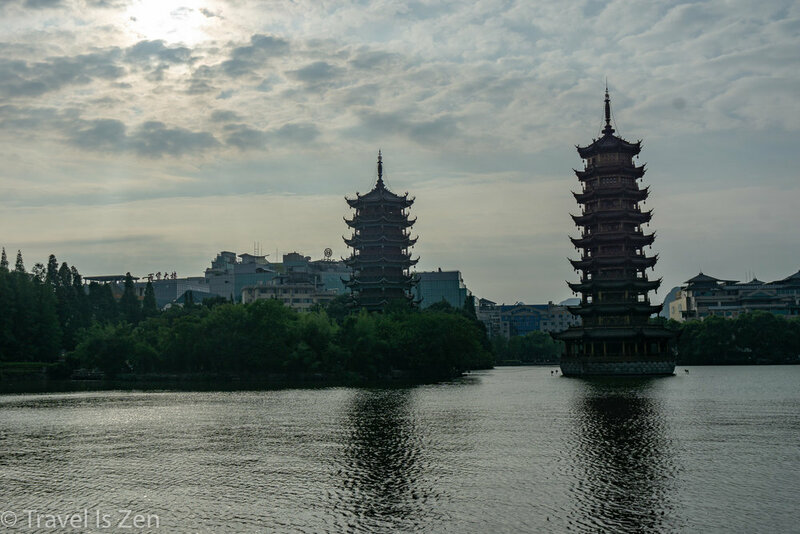 We had just finished a tour of western Yunnan Province and Guilin was the perfect city in which to relax and unwind. 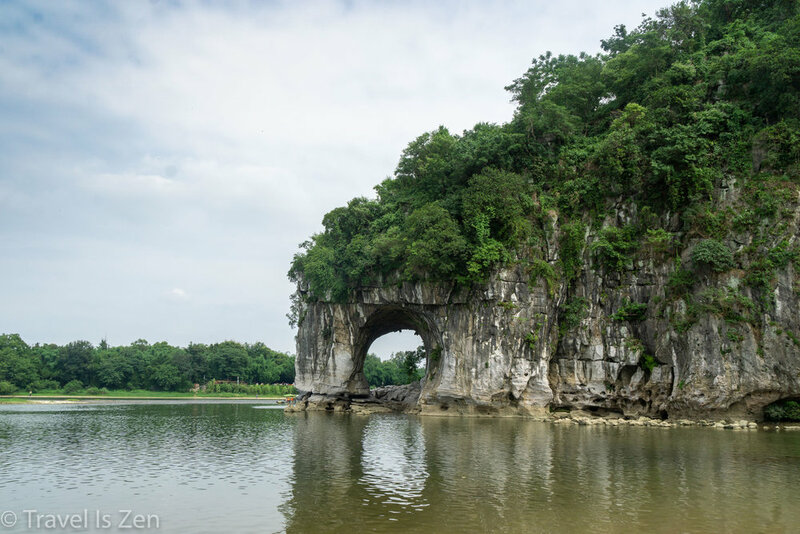 Walkable, modern, with excellent public transportation and wide open spaces, we spent our days exploring local attractions, such as Elephant Trunk Hill and Solitary Peak, and jogging early in the day to avoid the heat and humidity. Just a few steps from our apartment was an expansive farmers' market, where the ladies line-dance every afternoon. Around 3:00, the place looks like a scene from a Bollywood film: music thumping and a synchronized swarm of brazen women dancing in the aisles, arms waving, hips swaying, and skirts twirling. Our apartment was equipped with a wok. Purchasing a bounty of local produce for mere pennies at the market, I had fun sizzling smoked tofu and chopped veggies, sparks flying as the metal spatula struck the carbon-steel sides of the wok. If I could carry just one cooking utensil with me, it would be a wok! Such a versatile pan. One of our favorite dishes in China is Eggplant with Garlic Sauce, but it's often very oily. After a few attempts, I learned the secret to preventing eggplant from absorbing the oil. My recipe is here.